Construction is underway on the new ‘super-bridge’ that will replace the two swing bridges at the Heaphy-Lewis River confluence. July flooding washed away the bridge across the Lewis River and it was eventually recovered near the Heaphy River mouth. The new bridge was scheduled for construction this year, but the project was brought forward following the loss of the Lewis Bridge. A Department of Conservation construction team is currently based at the Lewis Hut working on the foundations and preparing the site for construction. Work has unfortunately been hampered by the recent bad weather; however the team are still on track to have the site ready to hand over to the contractors in mid October. 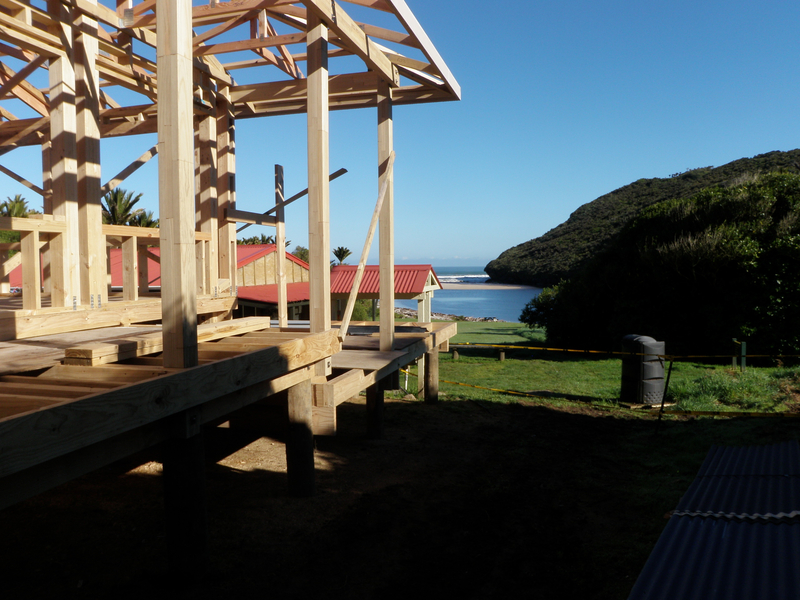 Construction is also progressing well on the new Heaphy Hut which is scheduled for completion in November. 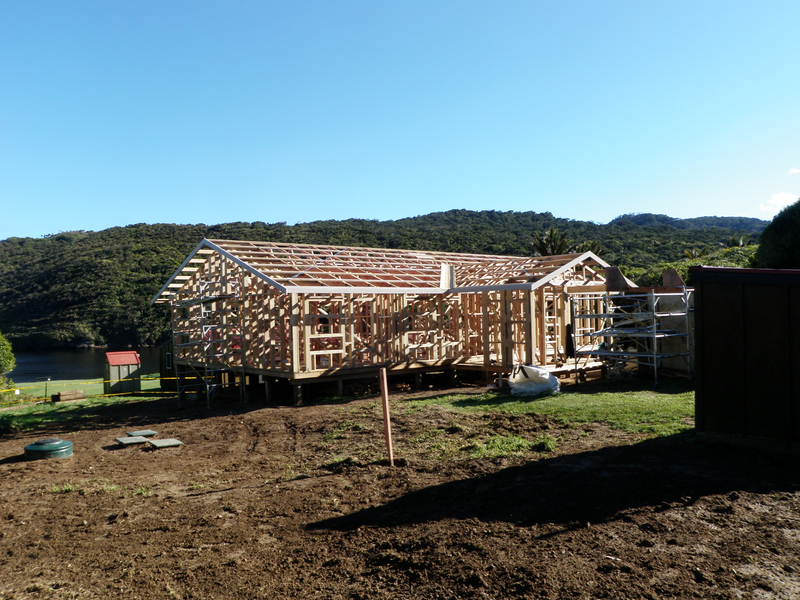 The hut is now roofed and clad and the contractors are starting on the plumbing and electrical installations. The new hut will be insulated and double glazed to meet the current building code, as well as meeting the Departments standards for Great Walks huts. Once the hut is completed the old hut will be dismantled and removed, the site tidied up and the new hut will be open for use in time for the busy summer season. This entry was posted in Department of Conservation, Environment, Heaphy Track, Kahurangi National Park, Karamea, LivinginPeace Project, Mountain Biking, MTB, New Zealand, Photography, Tramping, Travel, Uncategorized, West Coast and tagged Department of Conservation, DOC, Heaphy Track, Kahurangi National Park, karamea, Lewis River, Mountain Biking, MTB, Tramping. Bookmark the permalink.